Open Application Period: Feb 1, 2019 – April 27, 2019. 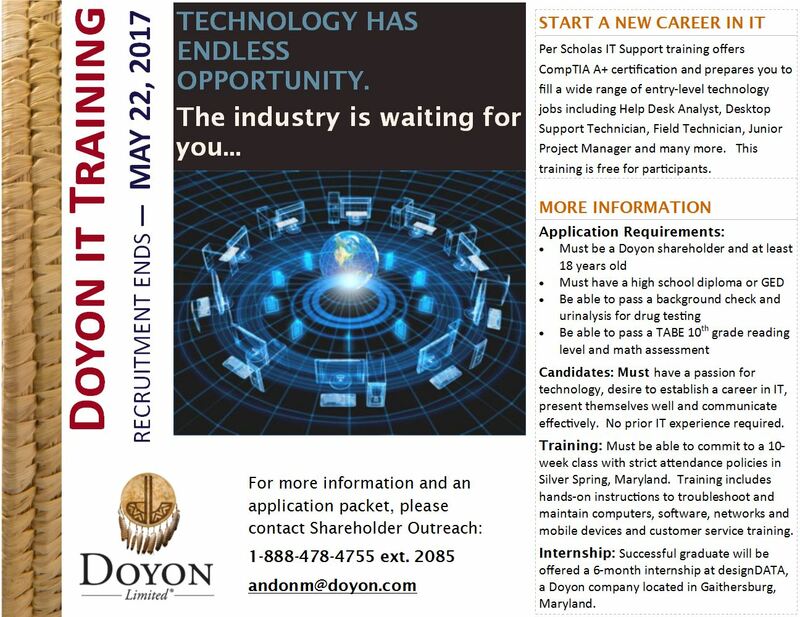 Start a New Career in IT! Per Scholas IT Support training offers CompTIA A+ certification and prepares you to fill a wide range of entry-level technology jobs including Help Desk Analyst, Desktop Support Technician, Field Technician, Junior Project Manager and many more. This training is free for participants. Click below for more information on how to apply. Women in Apprenticeship–Free Electrical Pre-Apprenticeship Training! Women in Apprenticeship—free training for women interested in a career in the trades! See attached flyer for details! SURVEYOR ASSISTANT APPRENTICESHIP NOW OPEN! Earn $18 an hour with a wage increase every 1000 hours! Build a secure future with the Alaska Teamsters! Our training programs provide you the ability to earn and train with benefits, gain experience and get certified! To learn more or to download the application visit our website athttp://www.akteamsterstraining.com/Apprenticeships.html or call (907) 278-3674 / toll free 1-800-478-4233. You can also stop by 520 E. 34th Avenue, Suite 201, Anchorage, AK 99503 to pick up a hard copy of the application as well. Application deadline March 27, 2015. The Alaska Teamsters JATC is announcing an application period statewide for the Construction Driver apprenticeship! The official announcement and minimum qualifications are attached. Applications will be available on the website starting Monday, June 24th. For more information contact Cheri Lipps, Apprenticeship Coordinator at 907-751-9785.